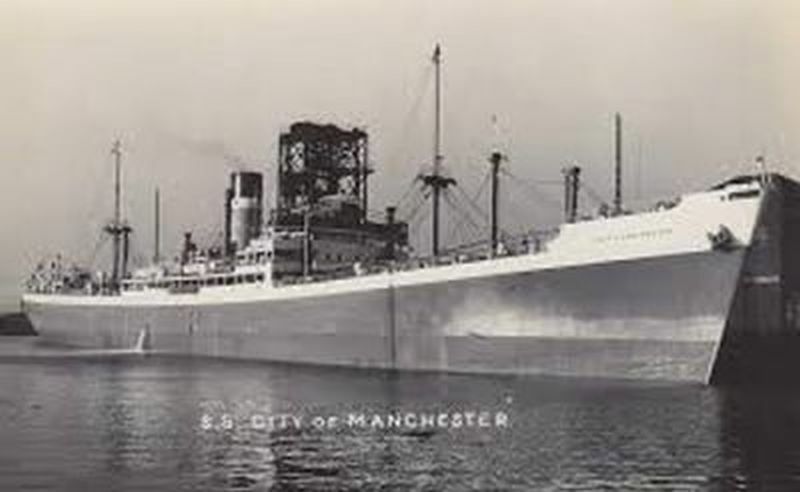 Bernard Egbert Bernsten was Engineer aboard the s.s. City of Manchester when the ship sunk on February 28th, 1942. He was either one of the men taken POW or was taken POW on a later moment. In records his name can be found as either Bernard Egbert Berntsen, Bernard Egbert Bernstein, Bernard Egbert Bernsten or Egbert Bernard Berntsen.